So a post after one week and it is going to be vegetarian. Yes, I know. Sorry, but I have been meaning to write about it for quite sometime. 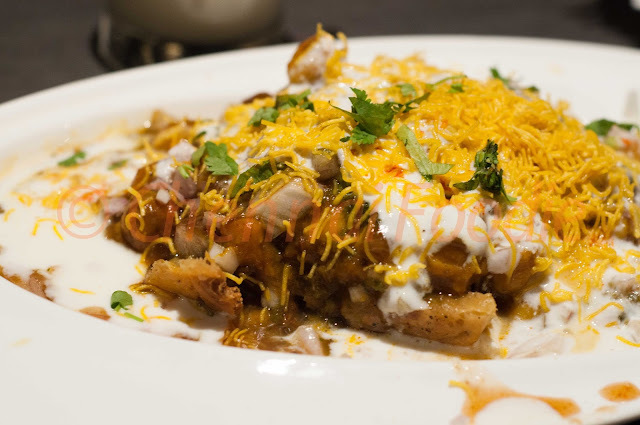 I love good food, veg or not, but when it comes to chaats, there has been an evolution. During my teenage, I used to love pani puri and bhel puri and such foods, but slowly over the years, I have not been craving too much for them. Maybe because I personally feel that the quality of chaat has dropped drastically, however mistaken that view might be, because I still feel the old place at Fountain Plaza served great chaat. 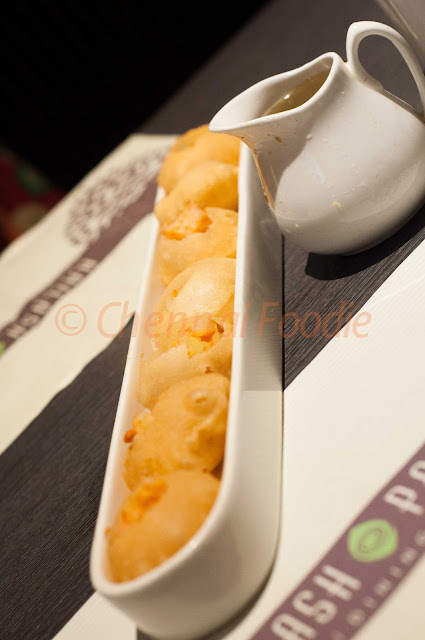 And chaat are definitely not great at fine dine places, may be you need that lack of hygiene for it to taste good? I don't know. But when someone craves for chaat and you don't have a say, Kailash Prabat is probably the only place to land! And that is where we landed too! Service was very very poor that day. I am starting off with the service because I had to ask for water for almost ten minutes and I asked for water after we placed order for the food, so it was not like we waited for water to be served before ordering. Finally, I got up and went to the biller and asked him for water and he looked amused. Amused. I had a good mind to leave the place, but another waiter came to me, apologised and said he will serve water. It took another few minutes, but the incident left a bad taste. But the food arrived and so this 'water service' was soon forgotten. We asked for pani puri, channa samosa and pav bhaji. The pani puri was quite nice, and since I am not a big fan of spicy food that leaves you sweating and panting, I sort of liked the food here. The pani puri was nice, crisp, good filling and good sweet and pani. The channa samosa was very nice too with a good dose of channa, a not very spicy samosa and a nice sauce on top. I still don't understand why they serve only two pav in the pav bhaji. Either they should be serving more pav or less bhaji, but no, they have to serve it disproportionately. Of course this is not limited to Kailash Prabat, it is a universal problem. 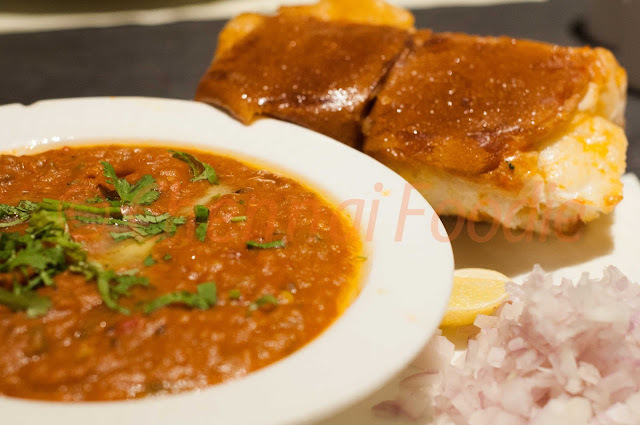 Actually do any of you know a place which serves enough pav for the bhaji? It tasted quite good and we had to aske for 'extra pav'. It is so common that 'Extra Pav' is actually a menu item! 3.5/5. I don't know if the water issue was one off, but it did not go down well with me, but of course, I am not letting that affect my judgement of the food. The bill was about Rs. 500 for all three and the extra pav. There are many in Chennai, but I was at the outlet on Harrington Road, above French Loaf.